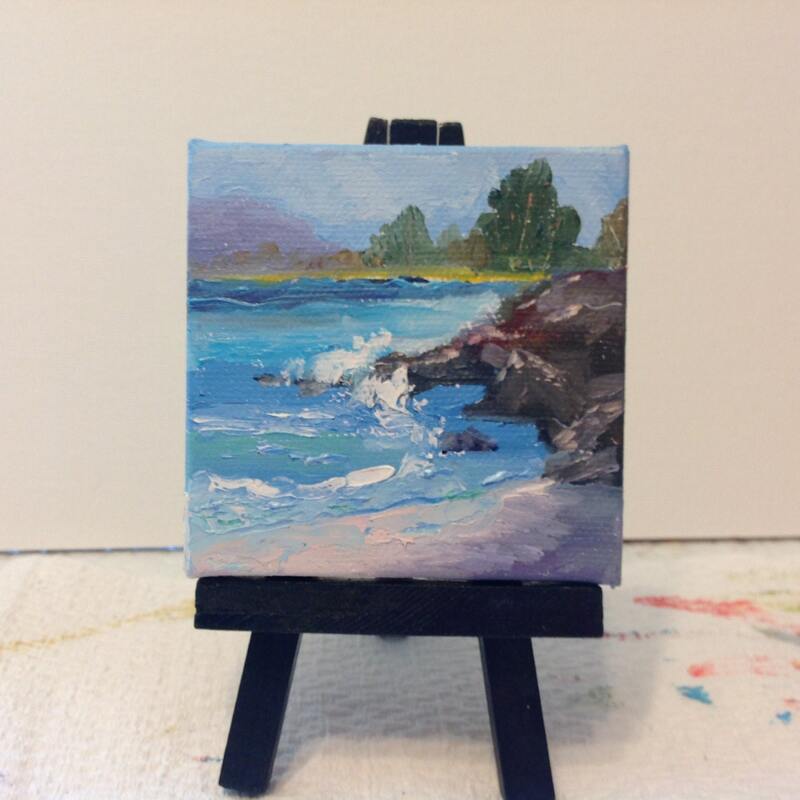 OCEAN VIEW is a 3” x 3” Unframed painting on an easel. 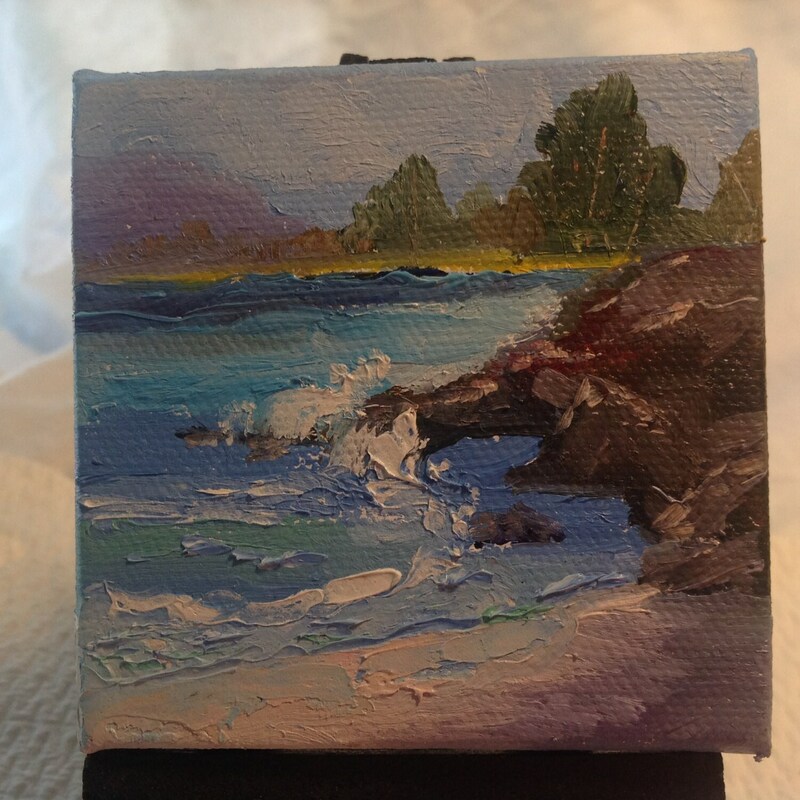 This is a wonderful mini masterpiece that fits so well on the office desk or a little shelf in the bedroom. The easel is included. This amazing scene shows the surf hitting rocks at the beach in Oregon. The cliffs and ocean are very realistic. 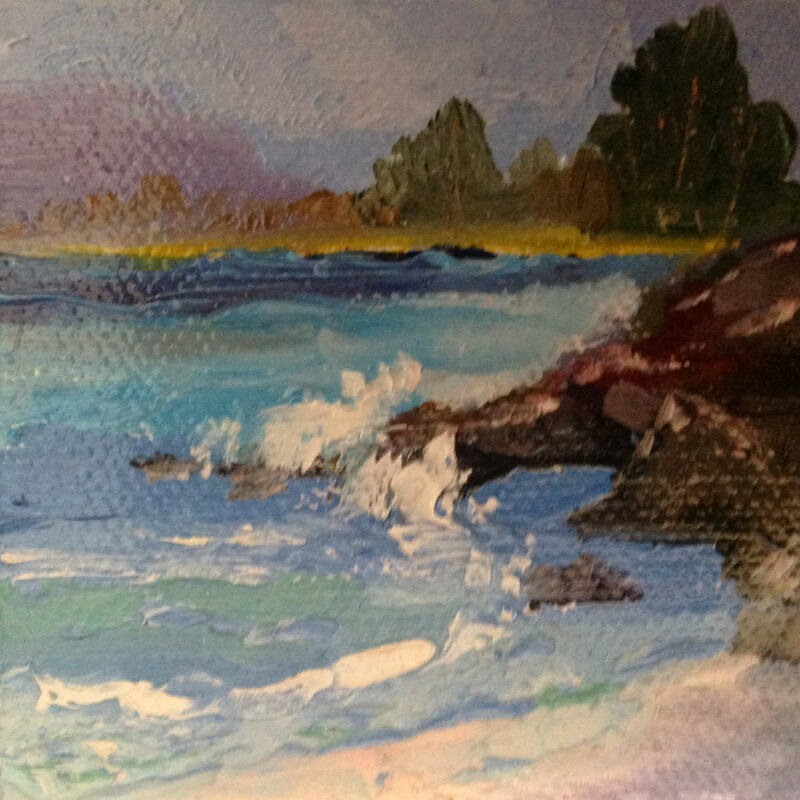 Off in the distance, the shoreline is painted with soft colors. The ocean crashes on the rocks. There is a blue sky and deep blue water. The colors are bright and vivid. It's amazing how much is fit into a little 3" canvas! This is a really special little painting that would make a wonderful gift. 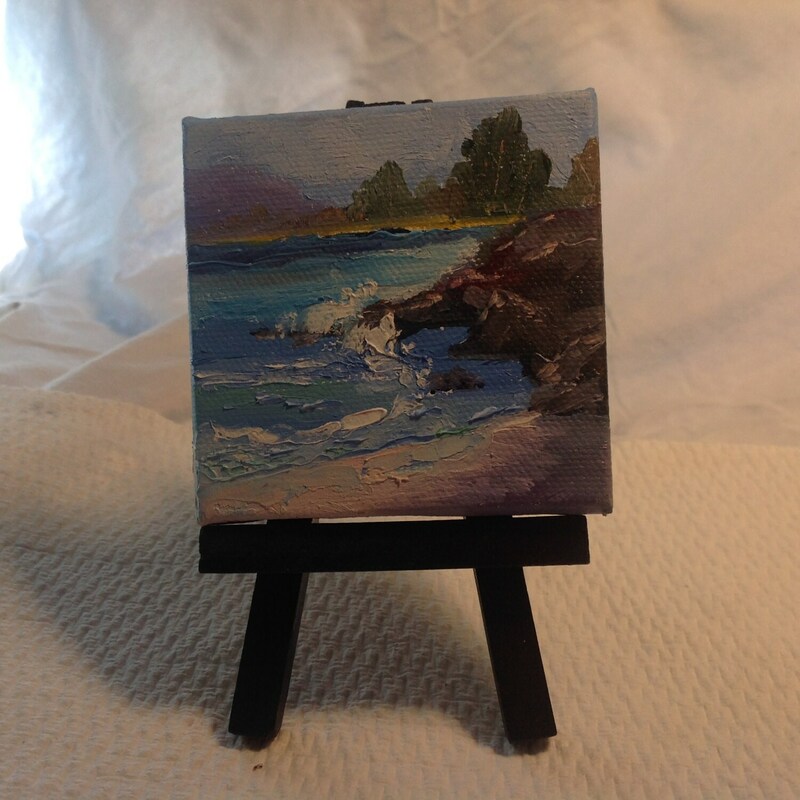 It's a perfect little masterpiece that comes with its own easel to display it on.